Four days ago, this scribe played backup to Metropolitan Stefan Soroka as the Ukrainian Greek-Catholic diaspora in the States paid tribute to Cardinal Lubomyr Husar a year since the "Moses" of his people died at 84. Ironically enough, the theme for the journalistic reflection on Husar was drawn from the Pope's homage to the titanic late patriarch of Kiev: "He might've been blind, but he could see beyond" – a reference to the cardinal's near-total lack of sight over his last decade. 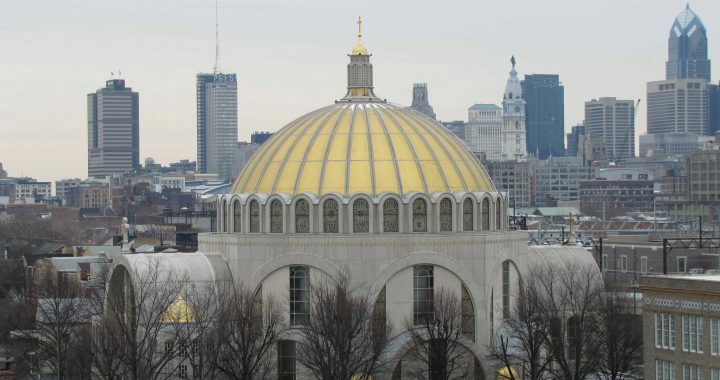 This morning, however, literally everyone just woke up blind: at Roman Noon, Francis had accepted Soroka's resignation at 66 as head of the US' largest and oldest Eastern Catholic Church, a subsequent statement from the Philadelphia-based archeparchy citing unspecified "medical reasons" as the rationale for the move. Numbering some 13,000 Catholics, the metropolia spans the eastern half of Pennsylvania and all of New Jersey, Delaware, Maryland, Virginia and the District of Columbia, its three suffragans – in Chicago, Stamford and Parma – extending its reach from coast to coast. Given the constant Eastern tradition – now fully brought out of the shadows in the US by Francis – roughly half its 55 priests are married. Among Soroka's aides and clergy in the tight-knit community, the decision of the Canadian-born hierarch – named the church's Stateside head in late 2000 – has been received with shock. While he fought back a bout with prostate cancer at the turn of the decade and has rebounded well from a February knee operation, Whispers ops in the archeparchy expressed no awareness of ongoing health concerns early today. If anything, the metropolitan looked in unremarkably fine form at the Thursday event, not giving a single indication of his imminent departure over three hours of sitting together and warmly catching up, the time capped off by a lunch of Husar's beloved hot dogs. Indeed, as some of his parishes observe Pascha according to the Julian calendar (and thus, as with the Orthodox, a week behind the others), Soroka talked glowingly of celebrating Easter twice across his scattered turf. Together with the resignation, Soroka's freshly-named auxiliary – Bishop Andriy Rabiy, at 42 the youngest member of the US bench – was appointed apostolic administrator of the archeparchy, granting him the full authority of the ordinary during the vacancy. On being asked last week how his new deputy was faring, Soroka said he hadn't been able to utilize Rabiy enough so far as "he's still at the parish" where he's pastor some 40 miles upstate, in the old coal regions to which Ukrainian immigrants flocked at the turn of the 20th century, the catalyst for the US jurisdiction's establishment in 1913. As for the compound on two square blocks of what's become immensely valuable Philadelphia real-estate over Soroka's tenure, unlike a Latin-church appointment, the succession to Franklin Street will be charted by the 25-man Ukrainian Synod, which will submit the terna of candidates to the Congregation of the Oriental Churches in Rome, whose own membership makes a final recommendation to the Pope. All that said, today's move occurs against the backdrop of a striking generational shift in the leadership of the 7 million-member Ukrainian church, marked by an equal uptick of assertiveness after its Soviet-era persecution and existence "in the catacombs." Six years since that movement began with another shock – the Synod's choice of one of its most junior members, then 40 year-old Sviatoslav Shevchuk, to succeed Husar at the church's helm – the changing of the guard has been reinforced by a steady tide of elections of new bishops in their early 40s or even late 30s; just last week, an auxiliary in Ukraine was named at 38 after barely a decade as a priest. 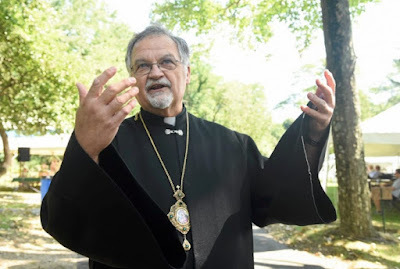 To be sure, the pattern extends to these shores – beyond Rabiy, of the UGCC's three domestic suffragans, Bishop Bohdan Danylo of Parma is 46 and Bishop Benedict Aleksiychuk of Chicago arrived last summer at 49. What's more, the trio – each named since 2014 and, as of today, the majority of the US' active Ukie bench – were all born in the church's Eastern European heartland, a trend ostensibly set to continue with the choice of the diaspora's next head. All told, the movement reflects a fresh round of Ukrainian and Polish immigration to the States over recent years, which has accordingly altered the church's makeup. While the appointment process is considerably less cumbersome than a Latin-church pick, the naming of a successor could still take several months – for starters, given the post's internal prominence as one of two UGCC metropolitan seats outside Ukraine (the other located in Soroka's native Winnipeg), the hierarchs' deliberations are likely to be equally intense. On another front, unless the terna is submitted by the executive council of the Ukrainian Synod or the full body is convoked in an extraordinary session to address the vacancy, the next global meeting of the eparchs isn't slated to take place until September.